A total of 110 residents of Sinapalo and Songsong Villages on Rota took part in the third CNMI-Wide Diabetes Health Community Forum: Highway to Better Health held at the Mayor’s Office on May 19. Organized by the Commonwealth Diabetes Coalition in collaboration with the Diabetes Prevention and Control Program of the Department of Public Health and the Ayuda Network, the event was part of a six-part series of community-wide forums that aims to educate the public about diabetes health and prevention. The goal of the community-wide forums is to involve the “taro roots” to address the need for systems changes, and combat the prevalence of diabetes, non-communicable diseases, obesity, cancer, and poor health lifestyle choices in high-risk populations through targeted social and behavioral strategies. “The participants were very active in the group discussions and activities,” said Vinycia Seman, Coalition Education and Outreach Committee chair. Seman said the Rota presenters were Dr. David Hardt, Dr. Jang Ho Kim, Jonathan Kiyoshi of the Northern Marianas College CREES Food Science Program, and Rosa Palacios of the Hinemlo Familia Network. According to Seman, they gave away incentives to participants such as backpacks, T-shirts, pens, and safety kits as well as healthy lunches. Seman added that they raffled off prizes, including $20 gas certificates, T-shirts, flash drives, Coral Ocean Point golf passes, PIC Water Park passes, and gift certificates from Herman’s Modern Bakery and Serenity Salon. “We hope that the people of Rota can instill what they have learned from this community forum and live a better and healthier life. Diabetes can be prevented if we live healthier lifestyles by eating healthier foods and staying active,” she told Saipan Tribune. Seman said the coalition thanks all the exhibitors, sponsors and supporters, including Ike Mendiola of the local Channel 5 for airing the interview about the event, who all made the forum a successful event. In the past two weeks, we have been considering some of the challenges that people with type 1 or 2 diabetes face on a daily basis. I was, therefore, most interested to attend a lecture on “Nutrition in the Prevention and Treatment of Diabetes: Science and Mythology”, arranged by the Academy of Science of South Africa (ASSAf) a few weeks ago. The lecture was presented by Jim Mann, Professor in Human Nutrition and Medicine, University of Otago, Dunedin, in New Zealand. Prof Mann, is one of the world’s leading experts in nutrition and its effects on diseases of lifestyle, including diabetes. Prof Mann was visiting South Africa as a guest of North-West University, who have bestowed an Honorary Doctorate on him for his contributions to nutrition. In his introduction, Prof Mann briefly outlined the history of diabetes and its treatment. This disease was known as far back as 400 BC and is mentioned in ancient Chinese texts. In 1889, a Dr Schmée diagnosed type 1 diabetes for the first time and prescribed a low carbohydrate diet for his patients, an approach that persisted for the next 100 years. From what my readers report to me, many doctors and healthcare professionals still only say, “Cut out all sugars and carbohydrates” when they counsel their diabetic patients. In the 1970’s, a researcher called Hugh Trowell, for the first time suggested that diabetics could eat carbohydrates provided they were rich in dietary fibre. Dr Trowell based his recommendations on the observation that populations eating traditional diets which were rich in plant fibre and relatively high in carbohydrate, had a low incidence of diabetes compared to populations eating western diets containing an excess of highly processed low-fibre foods. Subsequently a number of scientific studies have produced results showing that diabetics can use carbohydrates in their diet, provided such carbohydrates have a high dietary fibre content and are of the correct type (see below). The subjects in the DPS were divided into two groups – an experimental group that received intensive lifestyle interventions (individual dietary counselling from a dietician, circuit-training and exercise advice) and a control group who received standard medical care (Lindström et al, 2003). Prof Mann emphasised the success of this Finnish study, where those subjects who had achieved at least 3 of the above mentioned goals, did not develop type 2 diabetes even 15 years after the initial intervention. The two most important interventions were identified as weight loss and increasing dietary fibre intake. Perhaps the most encouraging result of the DPS was the finding that type 2 diabetes is the most preventable of all the lifestyle diseases! What type of carbs should diabetics eat? According to Prof Mann, it is important for diabetics to eat the right kind of carbohydrate, such as legumes (cooked or canned dry beans, peas, lentils, soya) and pulses, chickpeas, low-GI (glycaemic index) bread, and low-GI vegetables. In other words, the old idea that all so-called “complex” carbohydrates benefit diabetics by keeping their blood sugar and insulin levels low and steady, such as high-fibre carbohydrates (wholewheat bread, high-bran breakfast cereals, etc), is no longer valid. Prof Mann pointed out that the idea that complex carbs are “good” and simple carbs are “bad”, has been disproved with the introduction of the glycaemic index (GI). So if you are diabetic, it is important to select carbohydrates with a low-GI-value, such as the ones listed above. Other aspects of the dietary treatment of patients with diabetes or insulin resistance, are also being investigated. It has been suggested that the type of fat used in the diet (saturated, polyunsaturated or monounsaturated), can also have an important effect on insulin reactions. Researchers working in Australia, have investigated the effect of substituting carbohydrates with either monounsaturated fat or protein (Luscombe-Marsh et al, 2005). In this study, 57 overweight or obese subjects with insulin resistance were either given a low-fat, high-protein diet or a high-fat (mainly monounsaturated fat), low-protein diet for 12 weeks, to study the effects of the 2 diets on weight loss, blood fats, appetite regulation and energy output after each test meal. The results showed that there was no significant difference between the amounts of weight the two groups lost – the low-fat, high-protein subjects lost 9.7 kg, while the high-monounsaturated fat, low-protein subjects managed to lose an average of 10.2 kg in the 12-week study period. However, the low-fat, high-protein diet did suppress appetite to a greater extent than the high-fat, low-protein diet. The researchers concluded that the weight loss and improvements in insulin resistance and other risk factors (e.g. risk of heart disease due to increased blood fat levels), were similar on both diet treatments and that neither diet affected bone turnover or kidney function negatively (Luscombe-Marsh et al, 2005). It may thus be a good idea for diabetics to use monounsaturated fats in their diets to replace other sources of fat. Avocados, nuts and olives; olive, canola, grapeseed, peanut, sesame, safflower and avocado oils, as well as foods made with these oils, are rich sources of monounsaturated fats. Prof Mann also cautioned that different populations may exhibit different blood sugar and insulin reactions to foods. A study which compared the glycaemic response of people of European and Chinese ethnicity, found that on average the GI of parboiled rice in the Chinese subjects was 20% higher than in the Caucasian group: an average GI of 72 was obtained with the Chinese subjects, compared to an average GI-value of 57 with the European subjects, which would make parboiled rice a high-GI food for the Chinese subjects, while it can still be regarded as a low-GI food for the subjects of European descent. This indicates that it is important to determine the GI of foods in different populations, particularly staple foods that are used as the basis of a specific population’s diet (rice in China and other Eastern countries, maize meal in large parts of Africa, including South Africa). It is good to know that scientific researchers are hard at work trying to improve the lives of patients with insulin resistance, and types 1 and 2 diabetes. The most encouraging news is that type 2 diabetes can to a large extent be prevented by losing weight, increasing the intake of dietary fibre from legumes, pulses and low-GI foods, and doing some physical exercise as often as possible. Qatar Diabetes Association has organised an “At Risk Camp” for students and overweight teenagers with first degree family history of diabetes. Some 20 overweight teenagers took part in the event. QDA is at the forefront of efforts in Qatar and the Middle East to promote the prevention, care and management of diabetes. The association’s effort in prevention field has increased in recent years due to the dramatic increase in the incidence of obesity and diabetes in Qatar, the region and worldwide. Other steps such as “move more” by walking, swimming or playing ball also matter, he said. “We want to help them achieve their full potential, set goals they can meet and have the power to cut their chances of getting diabetes as well as to spread awareness about diabetes prevention among their families,” Dr al-Hamaq said. In addition, Nahas mentioned that counselling sessions were also included to assist the adolescents in their difficulties to initiate and maintain behavioural changes. She added that QDA will maintain a monthly follow up with few of the participants who were at risk group. Camp manager Mohamed Saadi mentioned that the camp was run by a team of professionals made up of various committees that include medical, nutrition, activities and programmes, public relations and safety personnel. Studies show the incidence of diabetes in dogs has increased 200 percent over the past 30 years. Now, University of Missouri veterinarians have changed the way veterinarians treat diabetes in animals by adapting a device used to monitor glucose in humans. Dogs are susceptible to type 1, insulin-dependent diabetes. Affected animals are unable to utilize sugar in their bloodstream because their bodies do not produce enough insulin, a hormone that helps cells turn sugar into energy. Veterinarians treat animals with this type of diabetes similarly to the way humans are treated, with insulin injections and a low-carbohydrate diet. Amy DeClue, assistant professor of veterinary internal medicine, and Charles Wiedmeyer, assistant professor of veterinary clinical pathology, have been studying the use of a “continuous glucose monitor” (CGM) on animals since 2003. A CGM is a small flexible device that is inserted about an inch into the skin, to constantly monitor glucose concentrations. CGMs have become more commonly used in dogs with diabetes that are not responding well to conventional treatment. The monitor provides detailed data for glucose concentrations throughout the course of three days in a dog’s usual environment, so veterinarians can make better treatment decisions. Previously, veterinarians would have created an insulin regimen based on a glucose curve by taking blood from the animal in the veterinary hospital every two hours over the course of a single day. The glucose curve was often inaccurate due to increased stress from the animals being in an unnatural environment. Dogs show clinical signs of diabetes similar to humans. Clinical signs include increased urination, thirst, hunger and weight loss. Typically, no direct cause is found for diabetes in dogs, but genetic disposition and obesity are thought to play a role in causing diabetes, according to DeClue. Just like people, dogs suffering with diabetes must be medically managed or complications can arise. “Typically, dogs that are treated properly for diabetes go on to live a long, full life,” said Wiedmeyer. In the future Wiedmeyer projects that the device will become smaller and less invasive. In addition, he hopes device manufacturers develop a device that would monitor blood sugar levels remotely. DeClue and Wiedmeyer’s most recent article on methods for monitoring and treating diabetes in dogs was published in the journal, Clinic in Laboratory Medicine. Doctors from Hackensack University Medical Center hope to find a cure for diabetes as they embark on a partnership with one of the world’s leading researchers for the disease. The hospital will be the first to try a procedure on humans with diabetes that is currently being tested on monkeys in Florida — a collaborative effort with Dr. Camillo Ricordi, a pioneer in the field and the scientific director and chief academy officer of the University of Miami Diabetes Research Institute. Diabetes occurs when the body cannot produce or properly use insulin, a hormone that helps the body metabolize glucose into energy and control blood sugar levels. With Type 1 diabetes, sometimes called juvenile diabetes and the most serious form of the disease, the body’s immune system destroys the cells from the pancreas that make insulin, called islets. People with Type 2 diabetes make insulin, but their body doesn’t utilize it correctly and production of it typically declines as they age. More than 25 million Americans have diabetes, and about 3 million of those suffer with Type 1. Health care experts expect the number of diabetics to increase dramatically, as obesity can trigger Type 2 diabetes and Americans continue to get heavier. Living for years with unregulated blood sugar levels can cause a myriad of symptoms, some as severe as blindness, poor circulation that leads to limb amputation, and kidney failure. 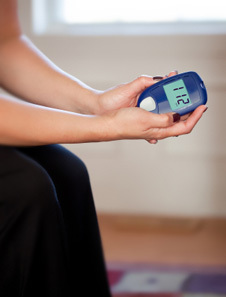 Typical treatment for diabetic patients includes insulin pumps, injections and oral medications. Transplanting islets from deceased donors is sometimes effective, but it frequently triggers other complications because the islets need to be implanted in the liver. The number of organ donors also falls way short of the number of diabetics who would benefit from a transplant. In this latest study with monkeys, Ricordi loads islets on a disc and then implants them in the abdomen, rather than in the liver. Based on the success with the primates, Shapiro is hoping to have four patients undergo the procedure in early 2012, though recruitment hasn’t begun. The ideal patients will be those who aren’t responding to other treatments. Physicians attending the announcement highlighted Ricordi’s expertise and advances in treatment of the disease. His creation, the Ricordi Chamber, is so well-known in the field that it was mentioned in a recent episode of the medical drama “Grey’s Anatomy.” Critical for a transplant, it is able to efficiently separate islets from the pancreas. But successfully transplanting the islets will only be part one of the cure. Researchers need to figure out how to create islets in the lab so there will be enough to treat all diabetic patients who need them. Another research team is working on that endeavor in the Miami institute. Still, the partnership has hospital executives determined and diabetic patients hopeful. “I’m absolutely sure we’ll find a cure,” said Robert Garrett, president and chief executive of HUMC. Stephanie Stone, who was diagnosed with diabetes at 10 and is now 18, attended the announcement with her Franklin Lakes, N.J., family. An important drawback of current diabetes treatment regimens is patient compliance, particularly for insulin injections that are painful and must also be timely administered. CeQur has developed an innovative technological platform to address this concern, actualizing a minimally invasive wearable drug patch infuser that provides relatively painless, continuous subcutaneous delivery of insulin in basal doses, as well on-demand doses at the push of a button. The company’s minimally invasive subcutaneous route of drug administration precludes the use of the existing injection-based insulin regimens that are burdensome to patients due to their painful nature, which can significantly lower patient compliance. The company has shown through clinical trials that its technology accurately delivers insulin while improving patient comfort and compliance, and is currently waiting health board approvals. Insurers and the Centers for Disease Control and Prevention aren’t willing to wait for Georgians to get a diabetes diagnosis before they change their lifestyles. A leading cause of kidney failure and heart disease, diabetes costs the U.S. more than $170 billion annually, according to the CDC. Insurers across the country are experimenting with ways to prevent the chronic disease in those most at risk — hoping to curb the ballooning cost of care. In Georgia, insurance giant UnitedHealth Group is partnering with the YMCA, the CDC and local pharmacists — a sometimes underutilized resource — to help its members lower their risk of developing Type 2 diabetes: by eating healthy, exercising and losing weight. It’s part of a larger effort by the CDC to lay the groundwork for a nationwide diabetes prevention system it hopes other insurers and nonprofits eventually will join. 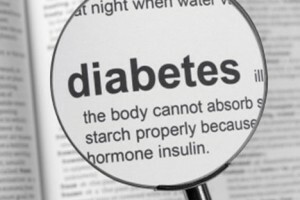 Even those not at risk of diabetes could see a benefit if the effort lowers escalating health care costs for everyone. Nationwide, 25.8 million people — 7 million of them undiagnosed — suffer from the disease, and one-third of Americans could have it by 2050, according to the CDC. When the new health care law goes into full effect in 2014, insurers will have to cover more people with chronic illnesses, giving them more of a stake in curbing the epidemic, experts say. Insurers such as Aetna offer diabetes management programs, and Blue Cross Blue Shield of Georgia has bumped up its diabetes prevention efforts, which include health coaches, in recent years. The disease is especially prevalent in the Southeast; 9.7 percent of Georgians had diagnosed diabetes in 2009, CDC data show. UnitedHealth, which has 1.4 million Georgia members, is encouraging those most at risk of developing the disease to join the 16-week YMCA program, which is free to the insurer’s members. It will pay the nonprofit and Walgreens pharmacists for members they help. Delta Air Lines already has signed on to the program, which UnitedHealth also is working on in other states. The effort is based on a prevention program tested by the National Institutes of Health and the CDC that showed people who lost 5 to 7 percent of their body weight could prevent or delay the onset of Type 2 diabetes — which is less severe than Type 1 — by 58 percent. UnitedHealth also is tapping Walgreens pharmacists to counsel patients who already have diabetes on how to better manage it by properly using medications, monitoring blood glucose levels and other methods. Insurers are increasingly focused on controlling chronic illnesses in part because employers are demanding it, said Tony Holmes, a partner in global consulting firm Mercer’s Atlanta office. A survey by the firm showed companies that put a heavy focus on health management activities, such as wellness programs, had a 2 percent lower increase in year-over-year health care costs than those that didn’t, Holmes said. UnitedHealth, which has 75 million members worldwide, has launched its diabetes programs in 10 states so far. The CDC hopes bringing other insurers on board will help give 15 million Americans access to diabetes prevention programs by 2020, said Dr. Ann Albright, who heads the Division of Diabetes Translation. The agency has invested $3 million in the project to get it started, but a sustainable funding source from third parties will be key to its success, Albright said. Other insurers and health care providers can contract with UnitedHealth or develop their own programs, she said. So far, Minnesota-based insurer Medica has signed on through an agreement with UnitedHealth. — The program is free to UnitedHealth members. Non-UnitedHealth members can participate at a cost of $142 for YMCA members and $299 for nonmembers with financial assistance available. Data were presented today showing that utilization of the PreDx® Diabetes Risk Score (DRS) to accurately assess a patient’s risk of developing type 2 diabetes within five years results in more aggressive treatment and follow-up for diabetes prevention among patients whose test scores indicate high risk levels, as well as statistically significant improvements in their cardiometabolic risk factors, compared to patients with lower test scores and those not tested with PreDx DRS. The strong correlation among accurate risk assessment, risk reduction and improved medical outcomes suggests that utilization of PreDx DRS contributes to more careful diabetes risk monitoring and more effective preventive and therapeutic intervention than reliance upon traditional risk assessments. The data were presented at the Fourth International Congress on Prediabetes and the Metabolic Syndrome, held in Madrid, Spain, in a presentation titled, “A Comparative Study of the Use of the Diabetes Risk Score (DRS) in Primary Care: How Are Medical Management and Patient Outcomes Affected?” authored by S. E. Conard, et al. PreDx Diabetes Risk Score (DRS) is a multi-marker fasting blood test that assesses markers of inflammation, fat cell function, and glucose metabolism. The DRS categorizes individuals as low, moderate, or high risk for diabetes conversion within 5 years, and has been shown to be significantly more accurate than HbA1c or fasting glucose. Medical Edge Healthcare Group in Dallas, Texas, conducted the retrospective observational study using electronic medical records in order to evaluate the impact of PreDx DRS on clinical practice and patient care in a natural primary care practice setting. “Today we face several challenges in diabetes prevention. Use of evidence-based interventions before disease diagnosis has been traditionally low, and with 79 million Americans already considered pre-diabetic, we have too many patients to treat effectively. This study provides strong evidence that PreDx DRS is not only a powerful risk assessment tool, but also an important prevention tool, enabling physicians to more effectively direct resources to patients with the greatest need for intervention, and motivating physicians and patients to employ preventive measures,” said Mickey S. Urdea, PhD, chairman and chief executive officer of Tethys. The Tethys sponsored study included data on 696 patients age 30 or older who received the PreDx DRS test between June and December 2010 with valid test results and no prior diagnosis of diabetes. A total of 35 physicians ordered the PreDx test for at least one patient during this period. A control un-tested group was randomly selected in a 3:1 ratio to DRS-tested patients to match gender and age distributions from those who had at least one measurement of LDL, blood pressure, and weight in the 18 months prior to the reference date, and had no record of visiting a physician known to be ordering PreDx DRS tests. Biometric, diagnosis, and prescription records of all selected patients were extracted for the 18 months prior to the reference date of October 1, 2010 and all dates afterwards (mean follow-up 4 months). Biometric measures included blood pressure, LDL, HDL, weight, HbA1c, triglycerides, fasting glucose, and HbA1c. Per-patient means were computed for the periods before and after the reference date. Diagnoses examined were hypercholesterolemia and hypertension. Prescriptions for anti-hypertensives, lipid-lowering agents, anti-diabetic agents, and aspirin written after the reference date were compiled. Differences in intensity of care between controls, and low, moderate, and high scoring DRS patients were evaluated by subsequent risk factor monitoring rates, use of pharmacological agents, and improvement in risk-factor control. P-values were computed using a two-tailed chi-square test. – Patients who received the PreDx DRS test were more likely to have follow-up monitoring of biometric risk factors by a physician relative to similar patients who did not receive the test, including measurements of lipid and glucose control (p<0.001). – There was significant improvement of risk-factors in patients who received the PreDx test, including weight, blood pressure, and cholesterol measures (p<0.001). Type 2 diabetes mellitus is a major public health epidemic. According to the United States Centers for Disease Control and Prevention, diabetes affects nearly 26 million people in the United States or 8.3% of the population. Diabetes is the seventh leading cause of mortality in the US, a major cause of heart disease and stroke, and the leading cause of kidney failure, nontraumatic lower-limb amputations and new cases of blindness among adults in the US. The direct and indirect costs of diabetes in the U.S. exceeded $174 billion in 2007, including $58 billion in indirect costs (disability, work loss, premature mortality). Medical expenditures for people with diabetes are more than two times higher than for people without diabetes. Worldwide, in 2000, diabetes affected an estimated 171 million people and this figure is projected to rise to 366 million by 2030, propelled by increases in age, obesity, and urbanization of the world’s population. In 2005-2008, based on fasting glucose or A1c levels, 35% of US adults aged 20 years or older had prediabetes (50% of those aged 65 years or older), In 2010, it is estimated that 79 million Americans aged 20 years or older had prediabetes. The Diabetes Prevention Program (DPP), a large prevention study of people at high risk for diabetes, showed that lifestyle intervention to lose weight and increase physical activity reduced the development of type 2 diabetes by 58% during a 3-year period. The reduction was even greater, 71%, among adults aged 60 years or older. The PreDx Diabetes Risk Score (DRS) provides enhanced risk stratification through the measurement of multiple biomarkers linked to pathways of diabetes progression. PreDx DRS was developed using a unique approach to quantifying biomarkers suspected of playing roles in diabetes development. Tethys methodology enabled evaluation of many biomarkers utilizing very small amounts of blood from select and well-characterized large study cohorts with known diabetes outcomes. The company then determined the combination of these biomarkers with an algorithm that best identified an individual’s risk of developing type 2 diabetes within five years. PreDx DRS has been validated by the Tethys Clinical Laboratory (TCL) in several large populations. The test uses standard immunoassay and clinical chemistry formats, sample collection and shipment methods. Currently performed exclusively by the CLIA-certified TCL, the test generates a Diabetes Risk Score between 1 and 10 that corresponds to an absolute percentage risk of developing disease within five years. Tethys Bioscience is making a big bet as a company that it can help prevent people from getting diabetes. Now it has got some critical support to help it prove that idea. Emeryville, CA-based Tethys is announcing today it has secured a partnership with the U.S. Air Force to see if the company’s PreDx test can help people avoid getting full-blown diabetes that can lead to a range of complications like blindness, heart attacks, and limb amputations. Air Force physicians, led by Lt. Col. Mark True, plan to enroll 600 pre-diabetic patients at six domestic Air Force bases. Half of the patients will get information on their diabetes risk at the beginning of a 12-week study, while the other half won’t. Researchers want to see whether this trial supports the idea that the Tethys test essentially scares patients into really changing their behavior, and improving their diet and exercise habits as a way of staving off diabetes. The company isn’t disclosing the budget for the study, and isn’t saying when it expects to have results—although the study will require patients be followed for six months. It’s safe to say, though, that if this confirms some of the anecdotal reports that suggest Tethys is helping motivate some patients, then the findings could be a powerful new tool for Tethys, as it seeks to convince insurers that the test’s list price of $585 is justified. Tethys has had some success already in the marketplace, based on data that says its test can identify who among the nation’s 79 million “pre-diabetics” who are likely to worsen over five years, and join the much riskier group of 25 million people with diabetes. Anything to reduce the number of diabetics could have huge implications for the U.S. health system. The total cost of diabetes in the U.S. is estimated at about $3.4 trillion in the 10 years through 2020, according to UnitedHealth, the nation’s largest health insurer. Tethys, as I described in a feature earlier this month, has already had some success in its early days, selling about 27,000 of its tests in its first year and a half on the market. Last week, the company said it has sold 35,000 tests, meaning it sold about 8,000 tests in the first two and a half months of this year. We’ll see how big that number can go if Tethys can present hard evidence to insurers that its test changes behavior and can prevent a chronic, expensive ailment like diabetes. Earlier this week the International Diabetes Federation (IDF) released a position statement regarding bariatric surgery as an option for Type 2 Diabetes and obesity. According to their distinguished panel of experts, bariatric surgery should now be considered an appropriate treatment option for people with Type 2 diabetes and obesity if treatment goals are not being met by the traditional medical therapies. But, having said that, if you have diabetes and are overweight, don’t rush out to book your surgery just yet. Do your homework on the subject, research your options and seek the advice of your endocrinologist prior to scheduling surgery. There are guidelines and criteria that should be met to be an eligible candidate for bariatric surgery. Bariatric surgery is not one specific type of surgery, but rather a group of surgeries, all of which are used to treat obesity. Bariatrics is defined as the field of medicine that study’s and treats obesity. Three of the most common types of bariatric surgeries include: Gastric Bypass surgery, Adjustable Gastric Band surgery and Gastric Sleeve surgery (also referred to as Sleeve Gastrectomy). Gastric Bypass surgery is the oldest of the group and therefore, is the type of bariatric surgery most people are aware of. It involves sectioning off a part of the stomach and rerouting the intestine to that segment of the stomach. Reduction in the stomach’s capacity results in a rapid weight-loss. However, one of the main drawbacks is that the procedure is permanent (non-reversible). Another major complication is nutritional deficiencies that are often associated with this type of surgery. Adjustable Gastric Band surgery is another type of bariatric surgery that is performed macroscopically. It sections off a small pouch of the upper stomach using an inflatable band that can be adjusted to maximize the person’s weight-loss. The initial weight-loss is slower than with bypass surgery, but is also considered a less invasive procedure. A major benefit is that this type of surgery is reversible. Initial studies found gastric band surgery to be considered very successful. But complaints of weight regain and band complications have led to many people reversing the procedure and or being dissatisfied with the outcome. Band erosion and band slippage are common complications found in several long-term studies. The final of the three is Gastric Sleeve Surgery. It is a relatively new procedure and is receiving a lot of attention, especially from dissatisfied gastric band patients. The procedure involves either removing part of the stomach (gastrectomy) or folding and suturing of part of the stomach (plication). The result is a smaller sleeve like stomach that holds less food and allows the patient to feel full with decreased caloric intake, which results in weight-loss. The plication technique has the advantage of being reversible, whereas, the gastrectomy approach is of course permanent. All three of the procedures have received mixed reviews, but obviously the IDF experts feel it is a viable intervention for morbidly obese patients with type 2 diabetes. But, the patient must remember there is no magic bullet (or surgery) regarding weight-loss. Along with the surgery, a commitment to change one’s eating habits; exercise patterns and general lifestyle are crucial to long-term weight-loss success. These surgical procedures are tools that may help a person lose weight and manage their diabetic condition, but it is imperative that the patient work closely with his or her medical team prior to surgery and during the post-surgical process. If you feel you fit the criteria (outlined by the IDF), make an appointment to see your endocrinologist regarding bariatric surgical options. The experts have stated their position: bariatric surgery is now a viable option in the treatment of type 2 diabetes and obesity, under certain circumstances! Could the Treatment For Depression Be the Same As the Treatment For Diabetes? For decades, physicians, mental health experts and individuals have struggled to find answers to the crippling problems of depression. Now, researchers have posed an interesting new theory: insulin. Researchers at the University of Toronto stated Monday that intriguing new research seems to suggest that insulin has much more impact on the brain and mood disorders than previously thought. A trial completed in early March at Mount Sinai Hospital in Toronto saw patients with depression being treated with nasal insulin rather than traditional methods. While it’s in the very early days, the results appear to be positive. The issue with treating mental health is that even the most recent advances in pharmaceutical treatments are no more effective at treating or controlling depression than the drugs on the market in the 1950s. This new research seems to suggest that perhaps a wholesale alteration to treatment approaches are necessary. Part of the urge to point research in this direction was the fact that 50% to 75% of depression and bi-polar patients are either diabetic, obese or overweight. Other research has shown that insulin plays a significant role in the development of the brain and other neurological functions, said Dr. Roger McIntyre, a psychiatrist and University of Toronto researcher. Given that this research is in its infancy, it will be years before enough trials can be run to determine a scientifically proven link, and even longer before effective treatments can be based on the research. Still, it’s a hopeful line of attack and one that could bode well for treatments in the future. I am writing to you having completed my first month as the Chief Executive Officer of Omni Bio Pharmaceutical, Inc., (“Omni”). With our 2011 Fiscal year coming to a close, this is an appropriate juncture to update our shareholders on the basis for my optimism in your Company’s prospects, and to advise you of my initiatives to increase shareholder value. I intend to keep you updated periodically going forward, the timing of which will be dictated by substantive scientific or business developments. As you may be aware, I served on the Scientific Advisory Board (“SAB”) of Omni for approximately two years prior to accepting the role as CEO of the Company, and I would like to provide you with my observations about the magnitude of this business opportunity and our progress. During my involvement with Omni’s SAB, I became aware of scientific research in animal models related to the potential uses of Alpha 1 antitrypsin (“AAT”) in numerous disease classifications. I believe the results of these animal models are compelling in terms of their potential significance if similar results can be obtained in a human population. These studies, which were largely conducted by investigators not associated with Omni, but where Omni controls intellectual property, made it clear to me that the opportunity for Omni to advance its intellectual property into a number of additional disease classifications was significant and persuasive. When I was approached by your Board of Directors to assume the Chief Executive Officer role, I believed that Omni’s science had the potential to have a significant impact on human disease. At this point in my career, I am interested in developing life changing therapies and I believe Omni’s opportunity provides that situation for me. Omni is involved with the development of intellectual property related to methods of use patent applications and issued patents related to AAT, a human biological that is FDA-approved for the treatment of chronic obstructive pulmonary disease (“COPD”) and emphysema in AAT deficient patients. Because of the approximately 20 year history of AAT being used to treat COPD and Emphysema, AAT has a solid established safety record, and this assisted us in obtaining FDA clearance to begin our trial in Type 1 diabetes within 12 months of its submission to the FDA. We believe that our method of use patent applications will control the treatment of Type 1 diabetes utilizing AAT, should we obtain the requisite FDA approval. Our most advanced program is our Phase I/II human clinical trial in Type 1 diabetes involving AAT in recently diagnosed patients at the Barbara Davis Center for Childhood Diabetes in Denver at the Anschutz Medical Campus of the University of Colorado Denver. For this trial, we are using a branded formulation of AAT which is being provided by an existing manufacturer. We initiated this clinical trial this past October, and are approaching completion of the young adult population’s infusion stage, before we move into pediatric patients. Type 1 diabetes is a large market, there are over two million individuals with Type 1 diabetes in the United States, and we believe that 25-30,000 that have been recently diagnosed have residual islet function. There is no effective form of therapy currently available to the market to block this debilitating and life shortening disease. Based on the addressable market size and anticipated cost of the drug, this would approximate a potential US market of $700 million annually, which is larger than the existing market for AAT for the treatment of COPD and emphysema. Our plan is to sublicense our intellectual property rights for diabetes and our other intellectual property disease classifications to one or more of the existing manufacturers of AAT, hence avoiding the capital intensive investment in plant, equipment and associated sales force. Although there is optimism about our study’s prospects within Omni, we are not alone in our optimism. The Immune Tolerance Network (“ITN”) has initiated a similar trial of AAT utilizing Aralast NP in Type 1 diabetics (http://www.retainstudy.org/). The ITN is a non-profit, government-funded consortium of researchers working together to establish new treatments for diseases of the immune system. The ITN was founded in 1999 by the National Institute of Allergy and Infectious Diseases (a part of the National Institutes of Health ) and receives support from the National Institute of Diabetes and Digestive and Kidney Diseases and the Juvenile Diabetes Research Foundation (“JDRF”). The ITN study follows on the heels of two failed Type 1 diabetes studies that had been funded by ITN utilizing other drugs. I consider the Immune Tolerance Network’s decision to invest their resources in this trial as an important endorsement of our concept that AAT is a promising therapy for Type I Diabetes. In addition to the recently commenced ITN study, Israel’s Kamada, LTD recently filed for an IND utilizing their formulation of AAT on Type 1 diabetes. Kamada received FDA approval for its formulation of AAT this past summer and has become aware of our clinical trial in Type 1 diabetes over the past 15 months. We believe their filing an IND with the FDA is a clear indication that they believe the potential for AAT to treat Type 1 diabetes is significant. Over the course of the past 12 months Omni has been invited to attend and/or present at a number of conferences which have included the Jefferies 2010 Global Healthcare Conference (New York), the 2011 JP Morgan Healthcare Conference (San Francisco), and the Biotech Showcase-2011 (San Francisco). These conferences have provided us with opportunities to meet with research analysts, investment bankers and potential industry collaborators for Omni. We intend to continue to pursue the regular attendance of investment conference opportunities in our next fiscal year. In addition, I believe our intellectual property pipeline gives Omni other opportunities for commercialization. During the course of this year, we may initiate additional clinical trials, which are contingent upon the receipt of additional financing. Each of these trials addresses significant disease classifications with potentially larger markets than Type 1 diabetes. Indications such as transplant rejection and the prevention of graft vs host disease are likely to be areas that will gather the most impetus from Omni due to the ability to generate clinically relevant data in short periods of time. I am enthusiastic about our prospects and look forward to reporting to you periodically on our progress. Omni Bio Pharmaceutical, Inc. (www.omnibiopharma.com) is an emerging biopharmaceutical company formed to acquire, license, and develop existing therapies for indications with substantial commercialization potential. Omni Bio’s core technology and pipeline are based on issued and pending patents licensed from the University of Colorado Denver (“UCD”) and a privately held corporation surrounding the broader therapeutic potential of currently marketed therapies. One of Omni Bio’s lead development programs is evaluating an FDA-approved, off-patent drug, AAT, for the treatment of Type 1 diabetes. Novel discoveries made at UCD indicate that AAT has the potential to address a variety of indications in the areas of bacterial and viral disorders, biohazards, diabetes and transplant rejection. For additional information, please visit www.omnibiopharma.com. Some of the statements made in this press release are forward-looking statements that reflect management’s current views and expectations with respect to future events, including the expansion and commencement of clinical trials and the outcome and expenses of such trials. These forward-looking statements are not a guarantee of future events and are subject to a number of risks and uncertainties, many of which are outside our control, which could cause actual events to differ materially from those expressed or implied by the statements. These risks and uncertainties are based on a number of factors, including but not limited to receipt of adequate funding to expand and commence clinical trials; receipt of applicable regulatory approvals for clinical trials, the risks related to the ownership and enforceability of our licensed intellectual property necessary to conduct the clinical trials and the business risks disclosed in our SEC filings, especially the section entitled “Risk Factors” in our Annual Report on Form 10-K for the fiscal year ended March 31, 2010. We undertake no obligation to publicly update or revise any forward-looking statements, whether as a result of new information, future events or otherwise.